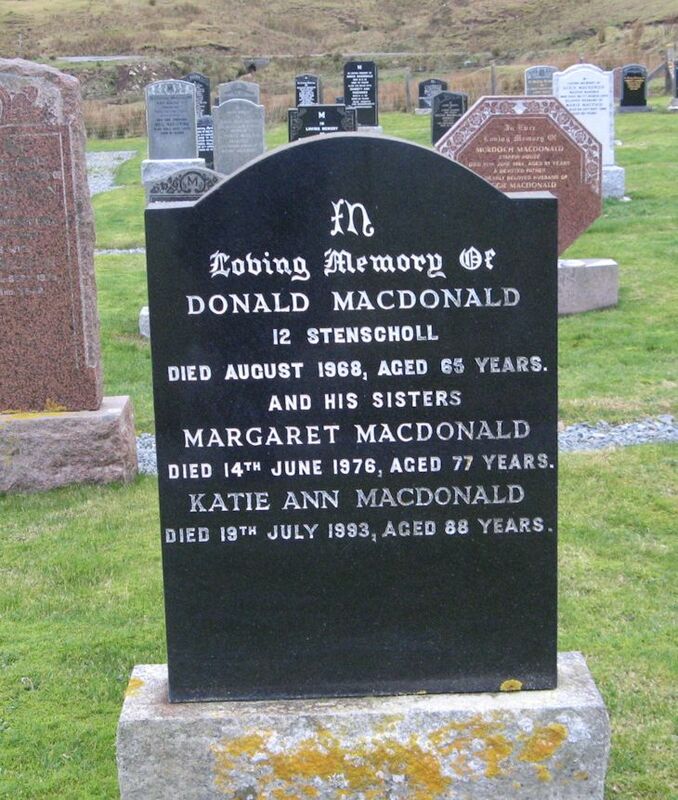 Skye Gravestones | Donald, Margaret & Katie Macdonald. Donald, Margaret & Katie Macdonald. In/loving memory of/DONALD MACDONALD/12 Stenscholl/died August 1968, aged 65 years/and his sisters/MARGARET MACDONALD/died 4th June 1976, aged 77 years/KATIE ANN MACDONALD/died 19th July 1993, aged 88 years.